When one thinks of “Dirty Sixth” in downtown Austin, the tendency is picture 18-and-up shot bars, seedy dives and panhandlers, not unlike that of Bourbon Street in New Orleans. 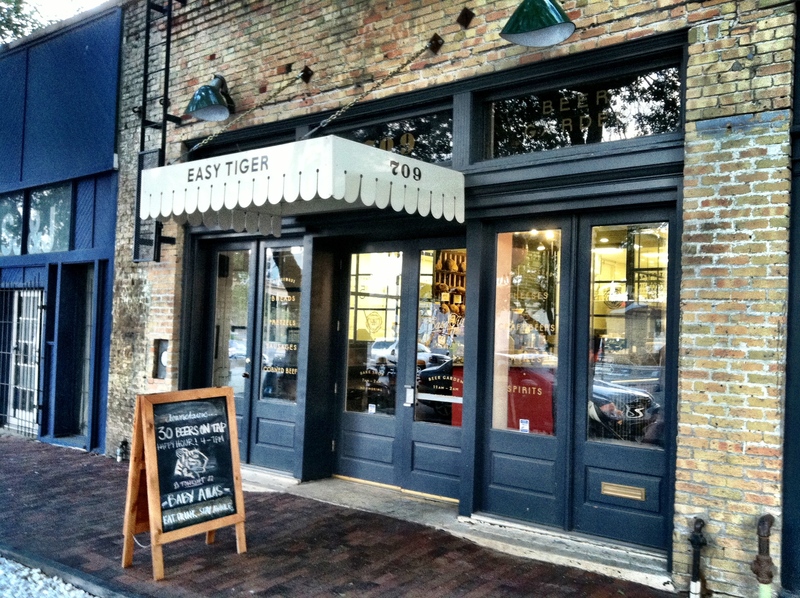 However, this past January, close to the intersection of Sixth and I-35 opened up a gem of a new joint in ATX called Easy Tiger Bake Shop & Beer Garden. 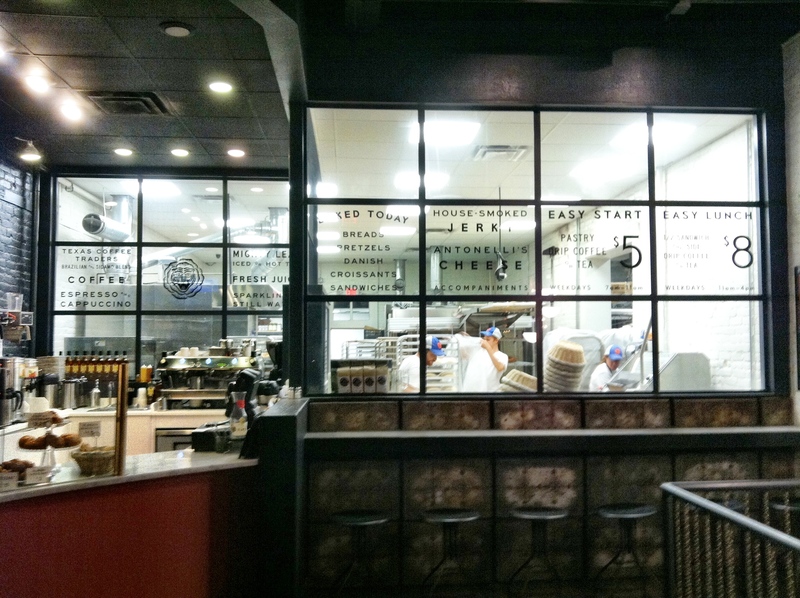 Situated along redeveloping Waller Creek, this brilliant addition is home to an excellent selection of draught beers, danishes and breads, pretzels, sausages, corned beef and cheeses. 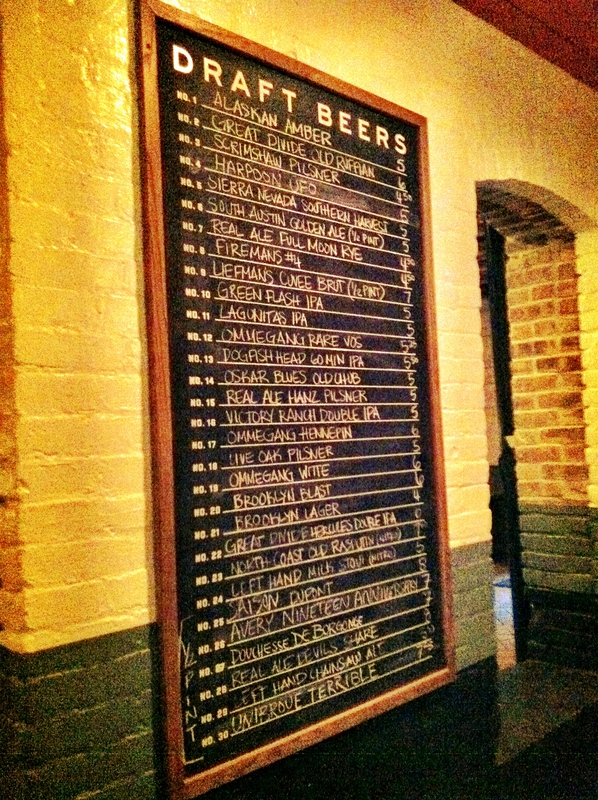 A basic one-stop shop for the fan of biergarten culture found throughout Bavaria in Europe. With a slogan of “slow down and stay awhile,” Easy Tiger is the counter-culture to the rowdy, raucous scene just outside its doors on Sixth. Dreamt up by baker, David Norman, and chef, Andrew Curren, the venture maintains two completely different feels on each of its levels. The main street level entrance leads guests to the bake shop, welcoming all with an overwhemling waft of fresh pastries, croissants, baguettes and the like, all of which are available for purchase to go or can be enjoyed on-site. 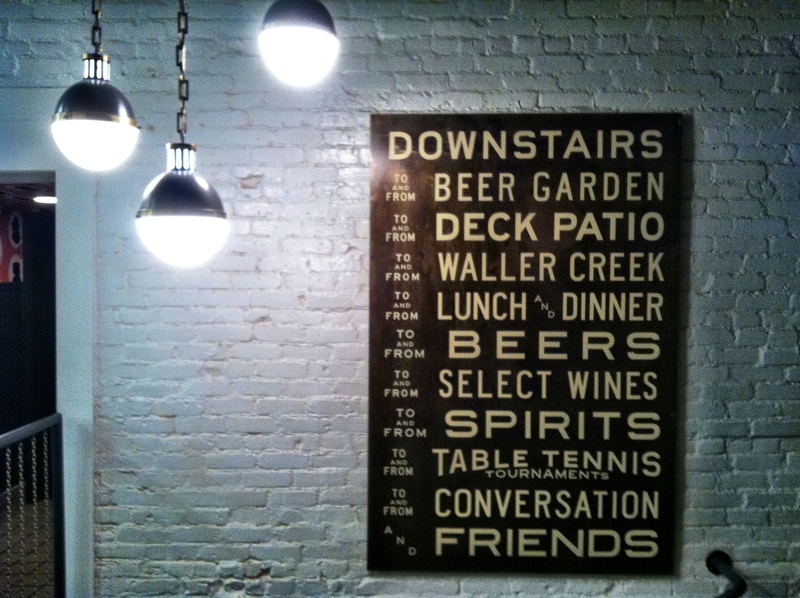 Venturing downstairs, Easy Tiger patrons find low ceilings, a cool vibe and a well-stock bar with a bevy of finely crafted beers, excellent wines and enticing spirits, all leading to the crown jewel of the establishment, in my mind, the beer garden out back. 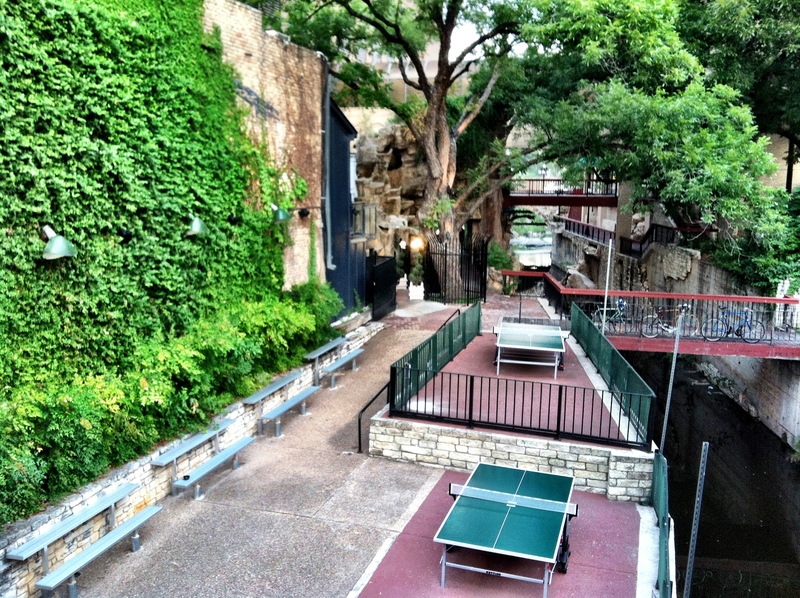 This little nugget of greatness in the heart of downtown, runs aside Waller Creek, and contains plenty of picnic tables, space to roam and congregate, in the midst of shady trees, ping-pong tables and fresh air. 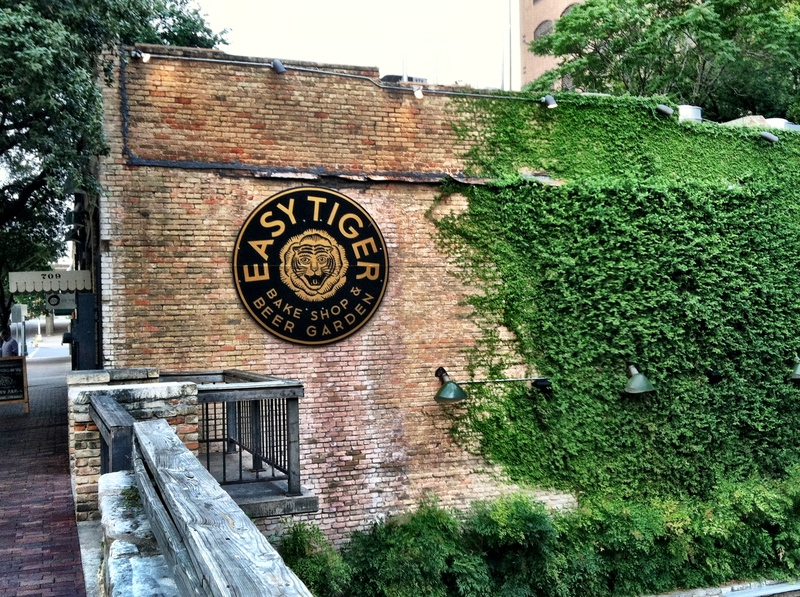 Quite honestly, Easy Tiger’s patio reminds me a great deal of a French Quarter courtyard in New Orleans. A completely different world from the rest of East Sixth, no doubt. 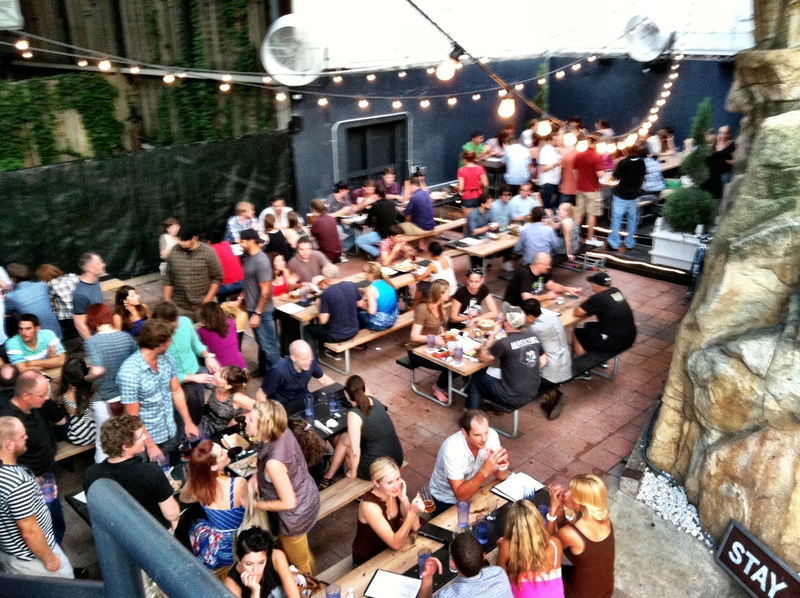 So, during these hot Texas Summer days, if you find yourself dreaming of cooler temps and crisp Fall afternoons, swing on down to Easy Tiger, where you’ll be in an Oktoberfest state of mind in no time, after a cold mug of malted hops and barley and a signature sausage, all in the midst of biergarten perfection. I promise you won’t be disappointed. « Viva Big Bend: Great Live Music Out West This Weekend! Plus it’s right near his job site (Waller Street Tunnel) so we’ll for sure hit it up!